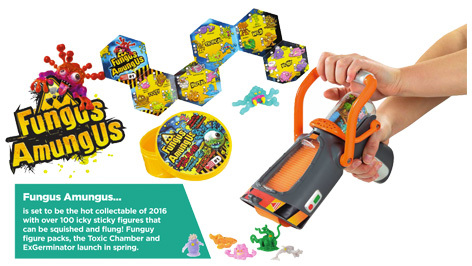 Grabbing top spot in our chart of toys with quirky names, Fungus Amungus products are almost as gross as you can imagine. There are over 100 squishy squashy Funguys characters for kids to collect and swap with each other. The specimen collections are supplied in a petri dish – take off the lid and watch them unravel in front of your eyes! Pretending to be moulds, spores and bacteria, these super sticky characters are just waiting to be unleashed into an unsuspecting world! Seven different strains of Funguys are up for grabs, all of them sticky, slimy, ugly and utterly uncivilised. The slipperiest of all are the Oozey Funguys. These are followed closely by Digital Funguys and the Tropical Funguys. The Wild Funguys are probably the weirdest of all the collections as them cover themselves in rotting vegetation. If that’s not bad enough, Foodie Funguys and Body Funguys lurk in unsuspecting places, whilst the Friendly Funguys aren’t really that friendly at all! When you’ve had enough of these nasty little creatures you can lock them up in the Toxic Chamber for the night. When you really can’t stand them anymore fling them in the Exgerminator and listen to them get mangled with realistic sound effects! 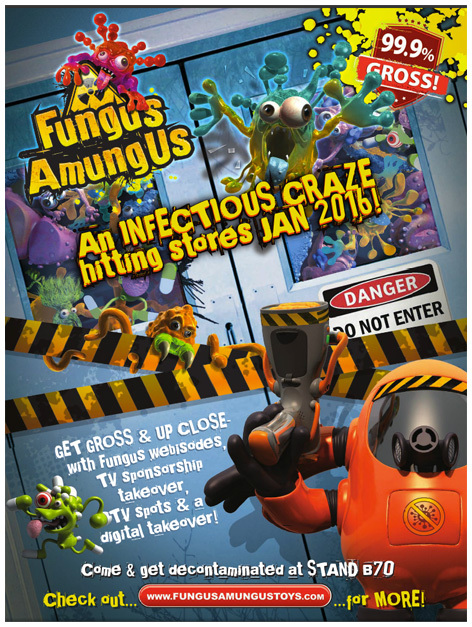 Please tell us what you think of Fungus Amungus by Vivid.